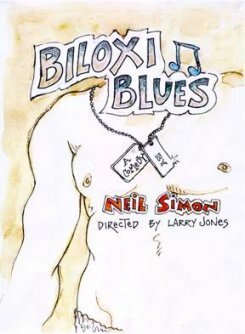 Biloxi Blues is set at an Army basic training camp in beautiful Biloxi, Mississippi in the dog days of summer 1943. Six raw, young recruits learn to BE ARMY and in the process learn more than they could have imagined about themselves, each other, and the war-torn world they are about to enter. This hilarious coming-of-age story about a naïve Jewish boy from New York City has its darker moments as the young men in the unit are confronted with some of the more disconcerting realities of ethnicity, color, race, and religion of the time. Listen to the amazing journey of Eugene Morris Jerome as he seeks to lose his innocence, fall in love, become a writer, and come home from World War II with all his body parts intact.